Students are actively looking out for books to buy, sell or rent. 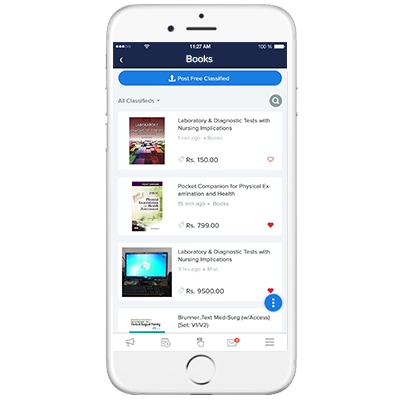 Unifyed books is a one-stop-shop that brings together the most popular e-commerce platforms to help students find the right book at the right price. Books from multiple sources brought to one platform for a wider range of options, eliminating the hassle to switch between apps. Students can buy, rent, or sell books through an intuitive UI. Provide students with an extensive library to eliminate dependencies on resource availability and physical commute to bookstores. With greater resources come greater results – enable your students to score better with access to extensive course content. Exclusive online discounts and renting books can help students lessen the expenses. Price and condition of the book can be checked and compared before the transaction.